JA SPARK TANK: LIGHT SPEED CROWNS JA COMPANY OF THE YEAR: Focus360! Focus360 will appear in a feature on ABC 13's Hampton Roads Business Weekly with Cheryl Tan and Zack Miller and took home $500 in seed funding to continue their business. Read more about Light Speed in Inside Business, here. Focus360 of Kempsville Entrepreneurship and Business Academy took home top honors as JA Company of the Year (pictured with teacher Ashley Houchins and Cheryl Tan of Hampton Roads Business Weekly)! VB Pockets of Kellam High School was First Runner Up and won Best Annual Report and Best Commercial (Pictured with teacher Jason Copeland and JA President Frank E. Hughlett). Candy Rain of Green Run High School was Second Runner Up (Pictured with teacher Kerri Sabo, TA Ms. Eubanks, and JA President Frank E. Hughlett). Ink. Inc of Cox High School won the first-ever Light Speed Dating elevator pitch competition (Pictured with teacher Jade Bolling and JA President Frank E. Hughlett). THANK YOU TO OUR WONDERFUL MENTORS, TEACHERS, JUDGES...AND, OF COURSE, STUDENTS...FOR AN UNBEATABLE EVENT! In our first youth entrepreneurship competition of the year, 40 student companies from 13 Hampton Roads high schools pitched their business concepts and vied for critical capital to take their ventures to the stratosphere. The teams competed on two challenging fronts (see below), and in the end, seven incredible companies took home a piece of the $1,500 JA Spark Fund Grants suite. WHAT HAPPENS AT SPARK TANK: LAUNCH DAY? our stellar lineup of challenges for our young entrepreneurs and how YOU can invest in their businesses. Each student company gets three minutes to pitch its business concept to a panel of discerning VIP judges...and a room full of its closest competitors. At stake? $1,250 in JA Spark Fund grants awarded to the top six to help capitalize their ventures. Our companies compete in this extemporaneous challenge: just 20 minutes to create a business solution to a pressing community problem and then deliver a one-minute pitch to a panel of decision-makers. The best one nets $250 in grant funding. Our student ventures go digital. Each team creates an online crowdfunding page on Indiegogo to throw into the crucible of the JA Launch Pad. Anyone can be a backer and help the students capitalize during this two-week companion event. Learn more below. OUR 2016 SPARK TANK: LAUNCH DAY WINNERS! Check out Memory Lights' commercial video! 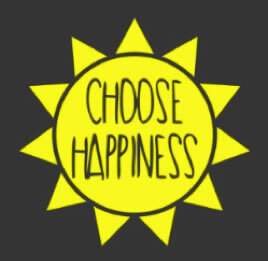 Check out Choose Happiness' commercial video!